I asked to have my photo taken with the life-size mastodon poster (and made Michaela join me). 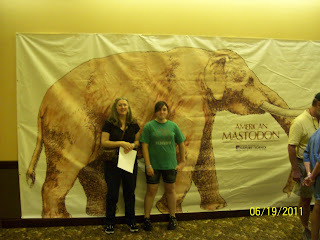 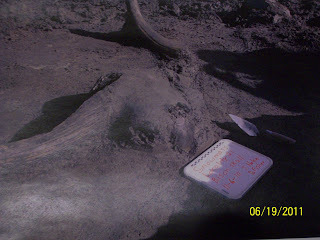 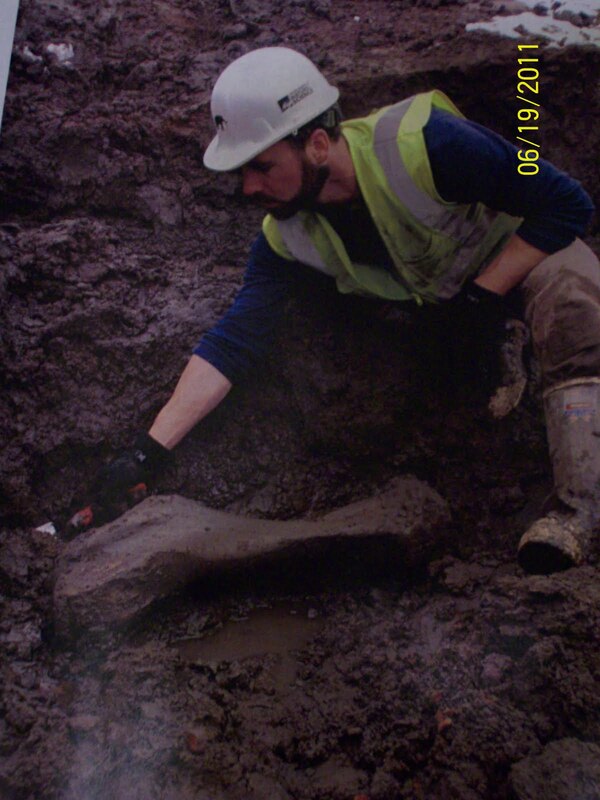 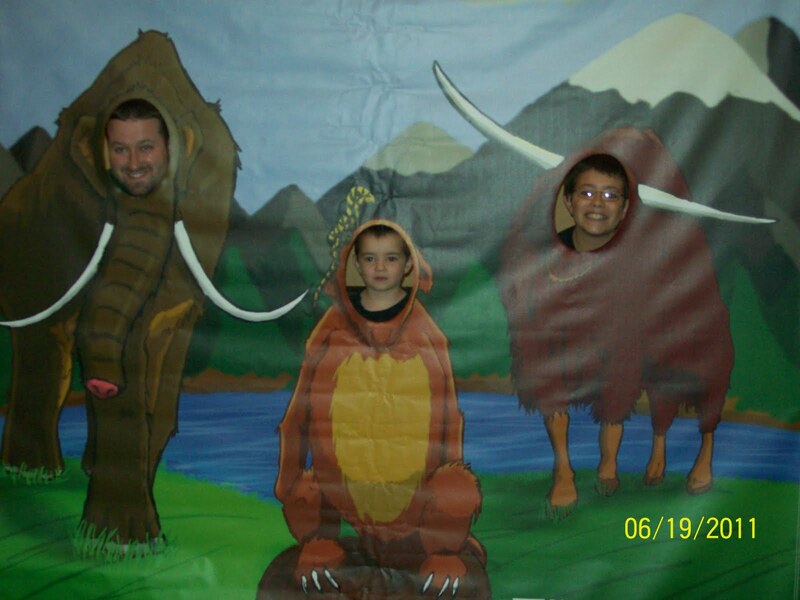 I'm going to hang out with mastodons more often; they make me look petite. 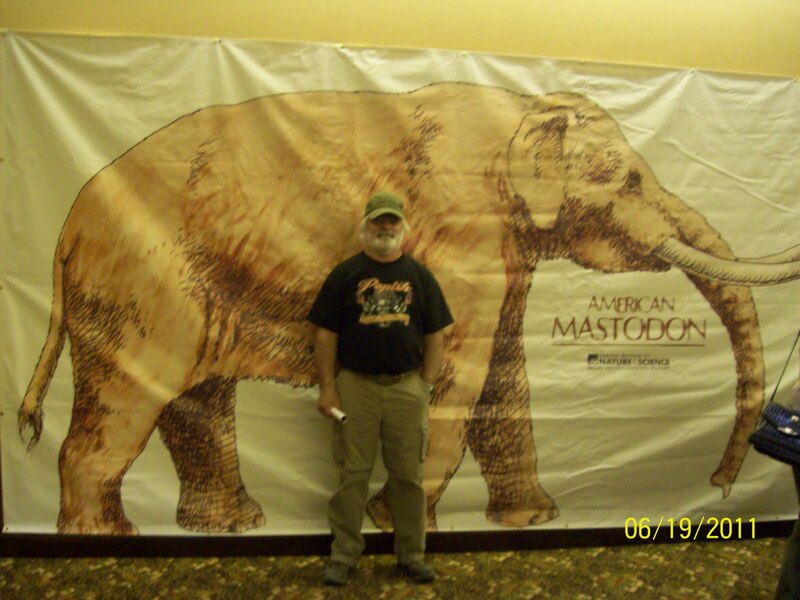 Here's Paul with the mastodon poster. 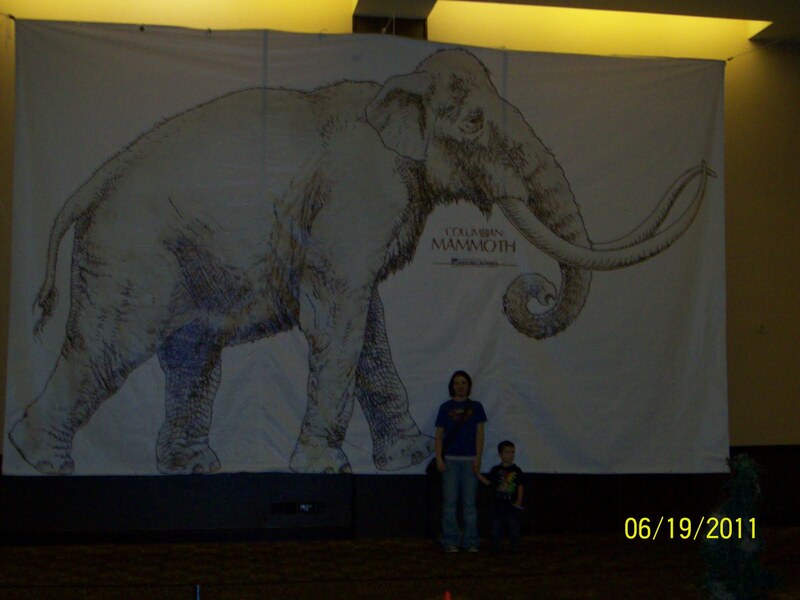 Rachel and Zack with the life-size mammoth poster. 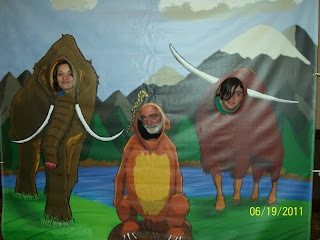 Is this a photo-op or what? That's Rachel, Paul, and Michaela (left to right). And Jared, Zack, and Corbin. 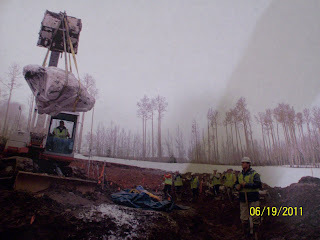 The very cold and snowy digsite. The researchers and volunteers have had to contend with weather issues; snow, mud, and very limited time frame. 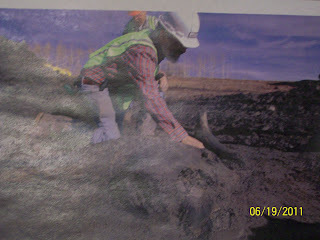 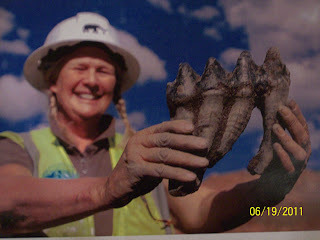 The building of the reservoir will start again in July, with the rest of whatever is under the ground to be covered by an impermeable layer, and then water, effectively saving the remaining finds for future paleontologists to uncover and preventing amateur bone diggers from stealing them.